A 21-year-old Boise man who ran away during a traffic stop, led deputies on a foot chase, and tried to hide in a south Ada County neighborhood Wednesday afternoon is charged with resisting arrest. That charge is one of many filed against Cameron Dean Gamel, who also has active arrest warrants for felony grand theft and burglary. Deputies began their investigation just after 2:30 p.m. when they pulled over a car that did not have a license plate at the Maple Grove Road/Kiowa Drive intersection. 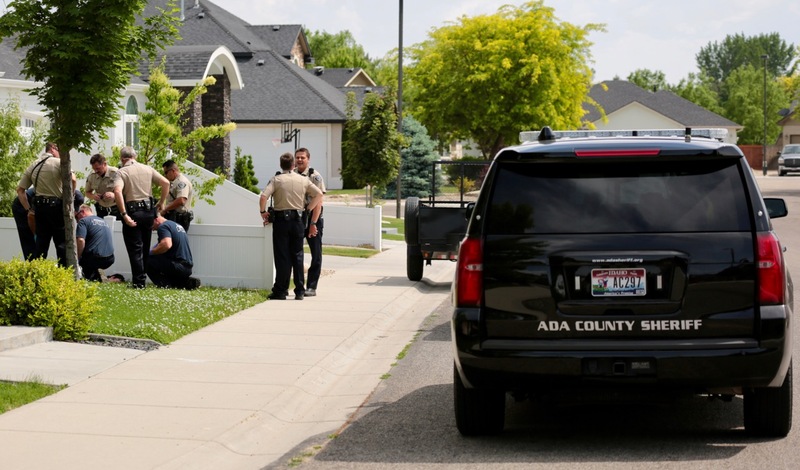 The driver, later identified as Gamel, got out of the car to talk to an ACSO deputy when he suddenly ran away into the neighborhood on the west side of Maple Grove. A deputy deployed a Taser to try to stop Gamel as he ran away but only one of the probes hit. Several other deputies arrived moments later and set up a perimeter around the neighborhood. A Meridian Police officer and K9 dog also helped with the search. Gamel was seen running through backyards of homes in the area and was eventually located in the backyard of a home on S. Silverpine Way. Gamel gave up at that point and deputies arrested him around 3:30 p.m. without further incident. Gamel is being checked out at a local hospital as a precaution and will be booked into the Ada County Jail later Wednesday afternoon. Gamel is expected to make his initial court appearance Thursday afternoon. He already has a $30,000 bond for the felony grand theft and burglary charges.